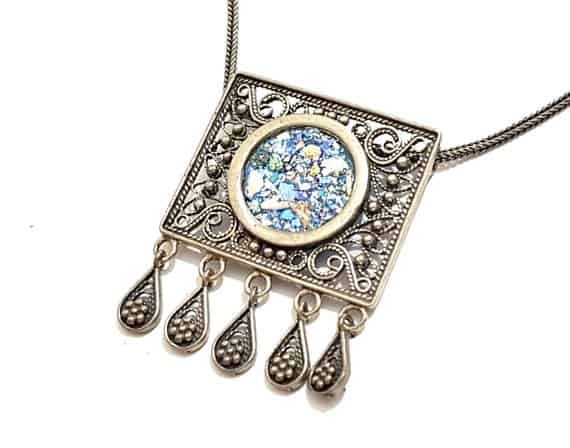 925 silver Yemenite filigree pendant The highest quality that you will own Centered with beautiful roman glass fragment, framed with traditional Yemenite silver filigree work, marked as 925 Israel size is 1.15x0.95 inch ,the glass is 0.6 inch Attached with silver chain in length of 17 inch. 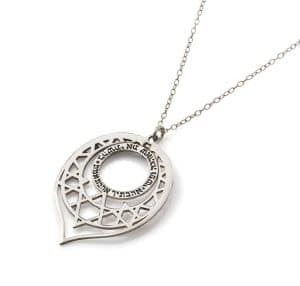 Included with the jewelry will be a certificate of authenticity stating the following: ""This certifies that this piece of hand made jewelry is set with authentic 2,000 year old roman glass manufactured by the ancient Romans in 2 b.c. The glass was found in archeological diggings throughout the Holy Land. 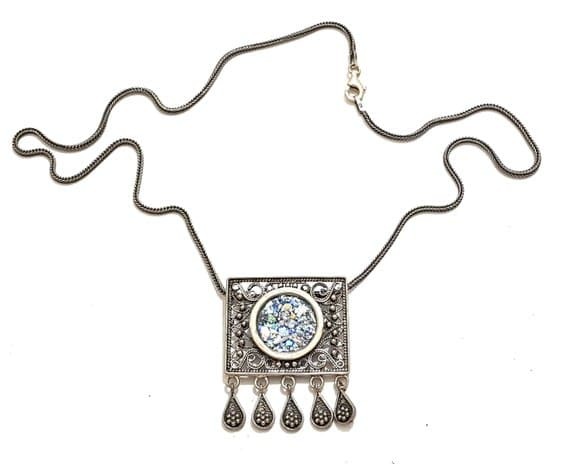 It is authentic and is certified as a genuine antique."" 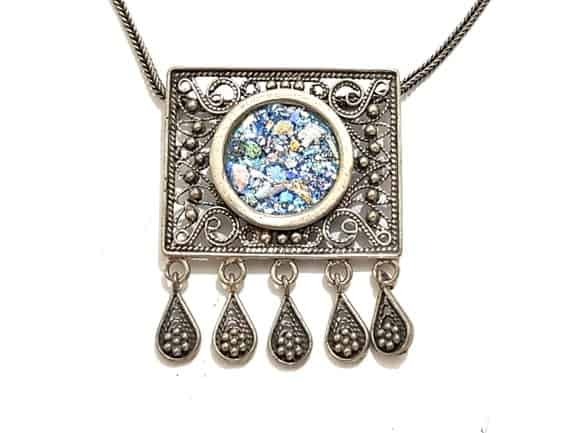 This is a truly amazing pendant sure to glorify any women who will wear it This pendant is shipped as a gift in a nice box. 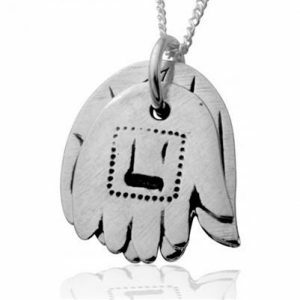 This pendant is shipped as a gift in a nice box.